Donna's hallmark is doing powerful proprietary consulting that offers organizations the opportunity to undergo profound shifts, creating a fluid environment that is responsive to change, committed to its mission, its people and its long-term success. Donna's clients have included The Mayo Clinic, CoorsTek, American Hospital Association, NASA, Hewlett-Packard, Lucent Technologies, Texaco, AT&T, Continental Airlines, Methodist Hospitals, Columbia-Presbyterian Medical Center, ACX Technologies, Voluntary Hospitals of America, the American Nurses Association, the American Hospital Association, Merrill Lynch, the United States Dept. of Interior, the United States Air Force and hundreds of health care organizations around the country. The difference between organizations that make it in the 21st century and those that don't will be whether their leaders have learned new skills and adopted a completely new perspective. Leaders will be called on to manage unending transitions, coach and mentor employees and to learn continuously. Donna's program or keynote gives participants a solid grounding in the basic skills, perspective and knowledge necessary to be successful leaders in the new reality. n this fast-paced keynote presentation, Donna grapples with ideas and strategies that underlie the 21st-century enterprise: the essential characteristics of organizations (AND the personal lives of individuals) that flourish in times of turmoil. Available in a keynote, half-day or full-day seminar format, Donna's speaking presentation is designed to help those who are serious, dignified and professional to lighten up. This playful, skill-building session creates an atmosphere of fun in order to solve our human problems. You will explore techniques for getting through life, love and loss, trials and tribulations, and all that not-so-funny stuff. You will also explore "de-light" and "de-dark." To make it in this wild wacky world, you need to re-examine your basic assumptions about nursing, life, liberty, and the pursuit of happiness. Come learn how to lighten up, let go, and loosen up so you can take the risks you need to live the kind of life you really want. The future is now and the choice is yours. 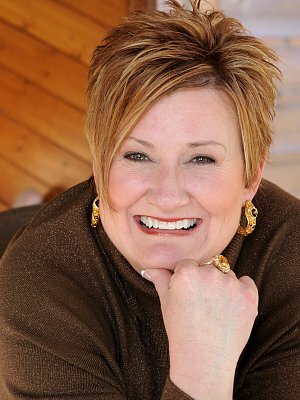 In this fast-paced, dynamic, and interactive presentation, Donna provides proven practical principles for "Savin' Yo Self!" We find ourselves in a New World, and we've got to become New People if we are to be successful. Are you ready? This dynamic "playshop" is designed to help serious, dignified leaders "lighten up." Donna will create an atmosphere of fun in order to solve our human leadership dilemmas. In this presentation, Donna will explore how our state of mind (stress, attitude, and willingness to learn) affects our body, mind and spirit. This fun, informative and exciting presentation will explore both the science of laughter (how laughter strengthens our immune system and reduces stress) and the art of humor (strategies to enhance optimism to help us move from "OH NO!" to "AH HA!"). The Circle provides participants with the actual experience of connectedness and quiet joy in the midst of chaotic and crazy times. This unique and unbelievably powerful program focuses on staying connected to one's self and one's team mates during times of tension and difficulty. It is based on an ancient healing ritual that is used in many organizations who are experiencing closure, transition and turbulent times. You will have an experience that is memorable, one where you "show up, be present, tell the truth and let go of the outcome." This is a program you will never forget! Based on an ancient healing ritual that is being utilized all around the world to help people stay committed and connected, Donna leads this unique and unbelievably powerful program to help you focus on staying connected to one's self and one's teammates during times of tension and difficulty. This lift-your-spirits keynote presentation reminds us all to lift our life to its highest calling and living our lives fully from a sense of possibility and the expectation of positive results. Optimism is the high-voltage power tool in the life-skills toolbox that can help you get promoted, fight off the cold that's been going around, and attract good people to you. Pessimistic people are two to eight times more at risk of depression and are difficult to appreciate. Using humor, inspirational stories, and time-tested tips, Donna shows you how to deal with life's trials and tribulations. We are reminded that the right to choose our own path is a sacred privilege.